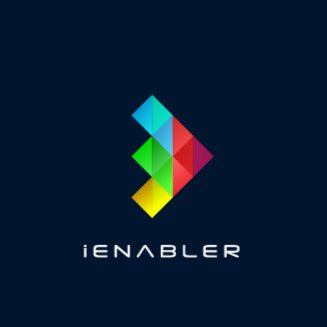 iEnabler is a company that specializes in helping organizations of all sizes to grow and transform by offering new possibilities and navigating business complexities in novel ways. "Brings out the Best in your Team"
iEnabler solution offered a step by step detailed process for enabling innovations. The process covers every aspect in the innovation journey. It makes us think of all aspects enabling us to arrive at a crisp view of whats unique in our solution. It allows to capture all ideas coming out from the exercise and helped us prioritise and act on the same. It helped us crystallise and identify the key features of our solution. It also helped us share work between team members across multiple timezones. The solution is very comprehensive. I do not have any feature that I dislike there. I would think that more advanced reporting using AI would be an Advantage. 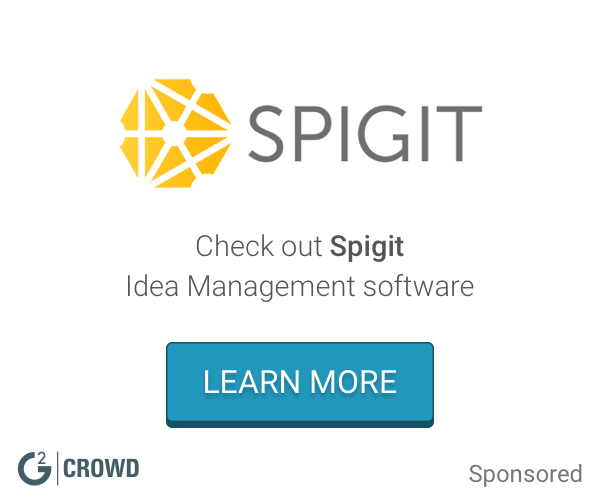 If you are looking for a structured solution to handle new innovations and ideas look no further. iEnabler offers you the complete solution. With iEnabler we were able to identify the key features and differentiators to our product. It helped us organise our strategy for the Product, the target customers and the various industry flavours for the product. It also helped us understand our competition better and helped us come out with our USPs. "Most sure of success on your idea with best think models"
Product has best think models, which provide us the deep and broad understanding on the possibility of the success rate, need in the market & alternate options. We can make best business decision before spending time, effort and money in the market. I liked the concept of different systems involved in the product and this method really made me to think out of box. Initially we need time to understand how the system works. Understanding the think models and using them for our ideas will be little difficult. Once you understood, rest will be awesome. If you would like to know the best and most preferable solution for your company / product next growth, then iEnabler is the best product. Founders can walkthrough this product to validate their idea instead of spending years on finding the product market fit. It is worth to invest and save years of time. We are looking for the next level of improvements in the product to stand best in the market. With iEnabler we are able to get clear vision on how and when to implement the list of features to meet our target. We also able to validate those features before implementation with potential customers as suggestions provided by iEnabler. By involving the the team in this journey it helped all the stake holders on the roadmap, benefits and importance of planned features and required contribution from each one. The Software acts as a powerful trigger for Thinking, Training and Transforming Innovation processes across the Organization. It ensures that the raw ideas are captured, refined and filtered using multidimensional validator. The Innovation journey becomes more structured with properly identified milestones. As of now, it seems pretty much organized and user friendly. As they move forward, AI coupled with iEnabler will make it more attractive. Go for it, if you want to get it right the first time and continue to differentiate. We realized after iEnabler's intervention, that we were guilty of committing the cardinal sin of rushing with the product rather than undertaking a 360 degree analysis of the Problem that we were intending to solve. When viewed through the iEnabler Framework ie., Proof of Needs - Opportunity - Concept - Profit Potential, we understood our product , process and its ecosystem much better. It gave us clarity even while widening our idea horizon. I think the UX could use improvements. I also think their UI needs a bit of tweaking. This is suitable for product builders who are looking to build differentiation. It also is a great fit for people looking to build next level of their business or looking for growth. The software needs time investment in terms of thinking and using it, but yields excellent results in terms of business value. We created a version of our product and saw that the product we created lacked differentiation. Our ideas seemed not be deep or differentiated. We lacked the understanding of the problem and our roadmap lacked clarity. We leveraged IEnabler's innovation and growth techniques to better understand our problem space, come up with ideas, explore their monetization.We also used techniques built into to validate our monetization capabilities, identified differentiation, and also identified IP related to the product. It is a self driving platform, allows you to carry out systematic thinking, building strategy and executable outcomes. It forces you to think outside your comfort zone, will help you to break your vision into multiple executable ideas. It is flexible, easy to use, great visuals and analytical capabilities. Generally I loved the concept and simplicity, ability to capture every minute details, which are crucial when you are evangelising into new business or products. Definitely it will drag yourself into more realistic and practical world. My experience so far is very positive and personally I enjoyed using this platform. I used this platform for multiple purposes- identifying potential opportunities to improve enterprise decision making, GAP in servicing with process & technology. It also helped us to find the way to help customers, Users and normal individuals, how one can make use of technology to improve everyday life. The experience helped us to structure our thinking, problem solving techniques-opportunities, Value realisation and monetisation. As of now, there is nothing I dislike about the product. One suggestion for improvment can be on the AI driven engine to grill questions & statements while carrying to the product discovery phase. We were solving Enterprise Planning needs on our product. iEnabler helped us to bring out USP, differentiation vis-a-vis with our competition & market study. The best parts were the workshops, 360 degree view of the problems & holistic approach to solution approach. We also appreciated the financial analysis part of the platform which helped us to reach out the investor community with accurate numbers on revenue & expense front. * We monitor all iEnabler reviews to prevent fraudulent reviews and keep review quality high. We do not post reviews by company employees or direct competitors. Validated reviews require the user to submit a screenshot of the product containing their user ID, in order to verify a user is an actual user of the product. Hi there! Are you looking to implement a solution like iEnabler?